Please subscribe to my channel ! And if you like it, please thumbs up! Welcome to MAMETSUMARU channel ! Thank you for seeing the videos on my channel ! Of course, most of the videos are funny,lovely and cute. I also introduce how to get close to your pet hamster and some healthy food for your pets. 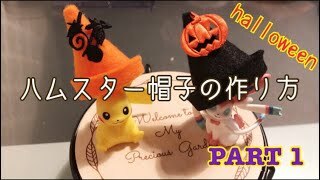 Sometimes, I also upload some videos to show you how to make some toys for hamsters. If you like it or you think it is useful, please subscribe to my channel and thumbs up! Thank you! ・ハムスター ココちゃんもハムマリオに挑戦！WORLD1-4（HAMUMARIO）Hamster Super Mario Bros.
・Hamster takes on the Military Obstacle Course!